As cake is one of our favourite things in the whole world, we were delighted to be asked to design The Vintage Cake Company logo. We wanted to give them a design that fitted perfectly into the marketplace and something that would catch the eye. With a splash of Cath Kidson colour and a dash of retro styling we created this vintage logo, shaped to mimic the edging of a cake case. 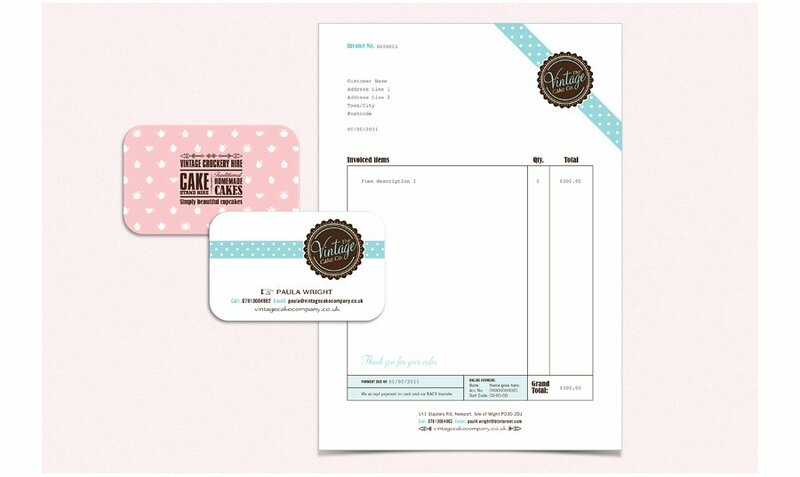 Vintage Cake Company Stationery Design. The business cards are printed both sides and have rounded edges. The logo is then lifted out with a spot UV varnish to add that finishing touch.